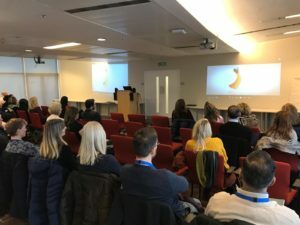 The Sharan Project was recently invited by the Metropolitan Police to discuss forced marriage (FM) and honour based abuse (HBA) to highlight the challenges and barriers faced by victims and survivors across the UK. Addressing officers from specialist teams across the Force, Our CEO, Polly Harrar spoke about the importance of recognising the motivations and trigger points that continue to place so many men and women at risk/affected by these issues. The interactive sessions were arranged as part of an ongoing partnership approach towards tackling a wide range of crimes to include, FGM, faith-based abuse and child sexual exploitation. “We are committed to ensure our officers receive training and information that will assist them in supporting more victims and survivors. 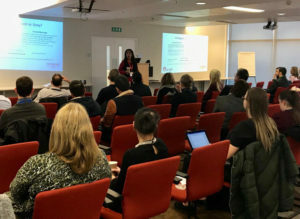 “We were delighted to have The Sharan Project attend as part of our continuous professional development day and to share their expertise and insight towards protective and preventative measures required. “The topics discussed sadly do not always yield a ‘happy’ ending, but the more awareness of the impact, motivations and trigger points of HBA and FM means that appropriate responses, support and protective measure can be taken. “We all agreed that more still needs to be done but there is a genuine interest and commitment to ensure victims of all forms of abuse are protected and supported. If you or someone you know is or has been affected by any of these issues, get in touch with us at info@sharan.org.uk. In an emergency call the Police on 999 or 101 for non-urgent calls.